Sweden school attack: Teacher and student dead. Police officers stand guard at a cordoned area after a masked man attacked people at a school in Trollhattan, Sweden on October 22, 2015. A masked attacker stabbed several people at a school in Sweden on Thursday, killing two and seriously injuring two more. 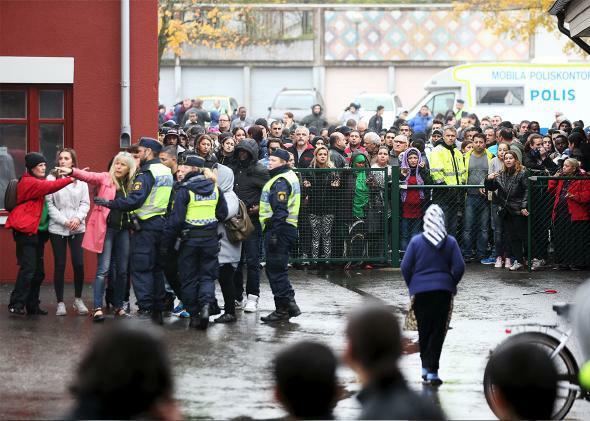 The attack took place just after 10 a.m. at Kronan School in the western town of Trollhattan. “The attacker was shot by police and has died of his injuries,” the BBC reports.